FIVE people with Derwent Valley connections are among the latest inductees to the Tasmanian Honour Roll of Women. The roll was established in 2005 to recognise those who have made an outstanding contribution to the state. The Honour Roll recognises both historical and contemporary contributions to Tasmania, ensuring women's achievements are given full recognition and not forgotten in the passage of time. The latest inductees were announced on March 29 by the Minister for Women, Jacquie Petrusma MHA. The five with local connections are profiled below. Karla Fenton was born in New Norfolk and completed 61 years in medical practice before retiring in June 2016. Dr Fenton joined the Tasmanian Psychiatric Service in 1969 and worked in adult psychiatry, the Combined Children’s Centre, Youth Counselling and was Superintendent of the Alcohol and Drug Treatment Centres at the John Edis, Royal Hobart and Royal Derwent Hospitals. She also worked at Clare House in Child and Adolescent Psychiatry, was Acting Regional Psychiatrist on the North West Coast and was a Forensic Examiner for the Sexual Assault Medical Services. A concern for the effects of drugs and alcohol on young people and veterans saw Dr Fenton instigate and co-ordinate the Maturity and Youth (M-Y) program for drug affected families in the 1990s. Whilst in private practice, her patients were bulk billed, which enabled many who might have otherwise found it unaffordable, access her medical services. She is an Official Fellow at the University of Tasmania’s Jane Franklin Hall, and provides a scholarship in perpetuity for a college resident to study abroad on the understanding they return to Jane Franklin College the following year. Dr Fenton also provides an Education Fund for the Alzheimers, Dementia and Related Disorders Society (ADARDS) Nursing Home. A foundation was set up in 1996 in perpetuity to supply money for a staff member to obtain further education in their discipline. Dr Fenton received the Medal of the Order of Australia in 2005 for service to medicine as a practitioner, educator and counsellor in the areas of drug and alcohol abuse, sexual trauma and mental health. The Anzac of the Year Award 2005 (Tasmania) and the Senior Australian of the Year (Tasmania) in 2004 were awarded to Dr Fenton and she continues as a Patron of Soroptimists International Hobart and a Convenor for Assisted Dying Group. When Margaret Bird retired from a distinguished 38 year teaching career, it was said her “energies were not limited by the fence of her school”. As a teacher, school principal, mother and homemaker, Margaret always dedicated significant time to the community. Margaret joined Zonta International in 1986 and held many positions including Area Director, Vice-Area Director and Volunteer Chairman and Coordinator of 300 volunteers at the Melbourne International Convention in 2006. Margaret was Coordinator of the Breast Cushion Project for 15 years with over 1,000 cushions made and distributed, the Birthing Kit Coordinator, and Chairman of Cheryl’s Angels Project (a support program for Rokeby High School students with issues relating to others at school, home and in the community). 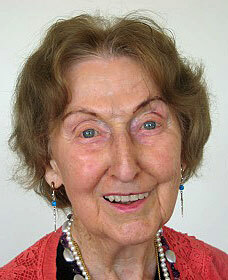 Since her "retirement", Margaret has been actively involved in making communities more age friendly. Margaret was the Chair of the Tasmanian Council on the Ageing (COTA) Board for six years and chaired the Policy Councils for COTA Tasmania, and COTA Australia for three years. Margaret was COTA’s representative on the national RedUse Project, which promoted awareness of the significant risks and limited benefits associated with the use of antipsychotic and benzodiazepine medication for older frail people, and encouraged the use of non-drug strategies to manage behavioural issues and psychological symptoms. Since 2012, Margaret has represented COTA on the Telstra Low Income Measures Assessment Committee to ensure programs for vulnerable customers meet community needs. Margaret has also played an important role making communities more age friendly at the local level by serving on the Clarence City Council’s Positive Ageing Committee since its inception in 2007. Clarence became the first Tasmanian Council recognised by the World Health Organisation (WHO) Age Friendly Cities and Community Network in 2014. Margaret was president, secretary and newsletter editor of both the Probus Club of Lauderdale and Wellbeing Club 13, which promote physical activity and mental wellbeing, recreational, social and cultural activities for older people. New Norfolk Rowing Club member Kerry Hore became the first female rower to compete at four Olympic Games when she was selected for the Australian team to compete at the Rio Olympics in 2016 at the age of 35. Kerry’s first Olympic Games were at Athens in 2004 where she was a crew member in the women’s quad scull that won the bronze medal. Kerry also represented Australia at the Beijing and London Olympics. Kerry started rowing in 1997 while in Year 10 at Ogilvie High School. Kerry enrolled at The Friends’ School and then started rowing for the Huon Rowing Club where the Australian lightweight four was training in preparation for the Sydney Olympics in 2000. Seeing two Tasmanians training for the Olympics was an inspiration. Kerry consistently represented Tasmania at the interstate regatta within the Australian Rowing Championships. 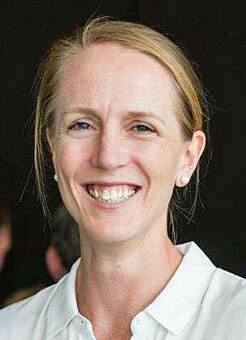 From 2003 to 2015, she raced for Tasmania on four occasions in Queen Elizabeth Cup VIIIs and on eight occasions she sculled for the Nell Slatter Cup. Kerry rowed in both boats at the 2007 and 2008 championships. In 2003, Kerry was on the World Cup podium for the first time by winning gold as a member of the women’s quad scull in Lucerne. The crew went on to win the 2003 World Championships in Italy. Kerry has since placed on the podium at World Championships three times, winning silver in 2007, 2010 and 2011. During Kerry’s rowing career she trained with the Tasmanian Institute of Sport. Kerry graduated from the University of Tasmania with a Bachelor of Pharmacy and works as a pharmacist. She enjoys visiting schools and working in the canteen at Rowing Tasmania’s opening pennant regattas and making brownies for the competitors. She was the patron of this year's Derwent Valley Relay for Life. Teacher and volunteer, Joan Grant had a saying “Don’t regret what you haven’t seen – simply treasure and marvel at the memories you have.” Born Edna Joan Bannister, she built a life of great memories through family, community, volunteering, treaching, travel and adventures. Joan, who was raised at Osterley, moved to Launceston in 1951, trained as a teacher and married Wallace Grant in 1954. They had six children. In 1977, Joan completed a Graduate Diploma of Special Education, later securing a full-time position at Queechy High School where she was later appointed Senior Master, Special Education. As well as teaching, Joan served as a volunteer giving many decades of service. Joan’s volunteer activities included leader of the Red Cross Youth and member of St John Ambulance for over 15 years. Joan was a long service member of the 8th Launceston Girl Guide Parent Association from 1968 and the 4th Launceston Scout Group from 1966. In recognition of her outstanding service to scouting Joan was awarded the Silver Wattle in 2001. Joan participated in many volunteer roles at several Anglican Churches including St James, Franklin Village and St Mark on the Hill. When the Anglican Diocese of Tasmania threatened to close St James Church in 1997, Joan instigated a campaign against the deconsecrating of the church with an 1844 foundation stone. The decision to close the church was overturned in 1999. Following her "retirement" in 1995, Joan joined Volunteers for Isolated Students Education (VISE) and taught children on outback stations in Queensland and the Northern Territory during her more than ten forays into her much loved outback. These were great adventures for a woman in her 70s, with experiences such as mustering cattle in helicopters and riding for 13-hours in a cattle truck to Cape York. Joan was a Senior Australian of the Year (Tasmania) finalist in 2002 and was posthumously awarded Launceston City Council’s Outstanding Achievement Award for Community, Health and Education in 2006. Deirdre Flint was elected to the Central Highlands Council in 1996 and was its mayor from 2002 until resigning due to ill-health in 2016. Deirdre selflessly volunteered her support and attended many community events and commemorations over the years. She involved herself in all three levels of government in a variety of ways and was a strong supporter of regional councils. 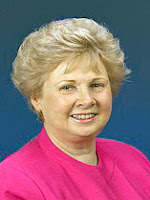 Her most prominent role was during her time as mayor. Deirdre was at the forefront of a joint effort between the Brighton, Derwent Valley, Southern Midlands and Central Highlands Council to instigate greater co-operation and promotion of the broader region. In 2010, Deirdre was awarded an Order of Australia Medal for services to the community of the Central Highlands and in 2016 was the recipient of the Outstanding Commitment and Service to Local Government Award from the Local Government Association of Tasmania (LGAT). Mrs Flint was a long serving member of LGAT’s General Management Committee, including vice-president from 2010-2012. Some of Dierdre’s achievements in council included independent living units built for aged residents, the establishment of permanent medical services in Bothwell and Ouse and the sealing of roads between the Poatina Highway and Miena. Persistent pressure from the council resulted in ABC Radio emergency alerts becoming available to isolated rural communities, through a commitment from the Tasmanian Bushfire Appeals Distribution Committee. 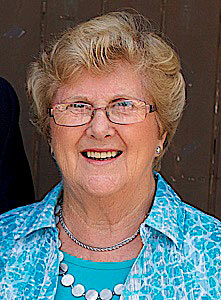 Deirdre was active in her community and played leading roles in various organisations including the Hamilton Agricultural Show, Country Women’s Association, Southern Lyons Women’s Group, Tasmanian Women’s Committee, Federal Women’s Committee, Red Cross, Launceston Chamber of Commerce and the Premier’s Local Government Council. Also a member of the Liberal Party, Deirdre served at both the state and federal level with great distinction, including as Federal Women’s Council President from 1999–2004. 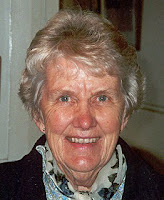 Deirdre was an outstanding role model for Tasmanian women throughout her career.